New apartments for a great price! Very spacious secondary apartment 5+1 with a gas heating in a good area of ​​Antalya. One of the best villa in Antalya in a luxury villas complex with a huge green territory, infrastructure and respectable neighbors! A new project of 2+1 and 3+1 apartments from a developer with an excellent reputation. 2-years installment option! 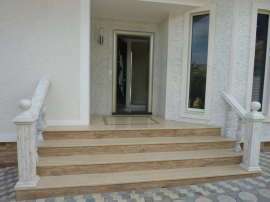 Opportunity with installment in the new residential area of Antalya. A nice project in a developing neighborhood. Luxury project of premium class with a developed infrastructure, close to the university and the pine forest at a very good price. Cozy spacious apartments with separate kitchen with a very good price. Breathtaking project at special prices near the university in the actively developing area of Antalya. The best exclusive project of luxury apartments and luxury villas with 5 * hotel infrastructure. From windows and balconies of this residential complex in Istanbul is possible to observe the transition from the past to the future. The complex overlooks the beautiful Botanical Park. Magic life on the coast! Hot offer! Apartment 1+1 at 250 m from the sea for super price! The most promising luxury hotel type project in the heart of Izmir with a magnificent panoramic view of the sea and payment by installments up to 2 years. Super luxury detached villa with 6 bedrooms for those, who look not only for a house to live but for a place which shows his status! Comfortable apartment in a quiet corner of Kemer. Unique apartments in Kemer on the border with the national pine park, stunning views of the forest and mountains! Detached villa in cozy residence in the center of Kemer. Just 650 m from the sandy beach! Luxurious detached three bedroom villa in Kemer area at the foot of the Toros Mountains! Magnificent 6 bedroom detached villa in Aslanbudjak. Life in Bodrum - a privilege! You deserve it! Secondary tastefully furnished apartment with dizzying views of the sea. Resale villa with fabulous sea views at a bargain price! Amazing fully furnished apartment 2 + 1 with 360 degrees sea view in a hip part of Bodrum. Very nice villa in a forest and within a very special site.